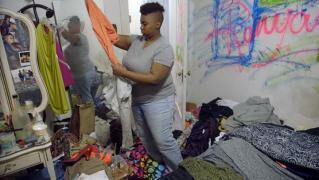 When will be Hoarders Overload next episode air date? Is Hoarders Overload renewed or cancelled? Where to countdown Hoarders Overload air dates? Is Hoarders Overload worth watching? 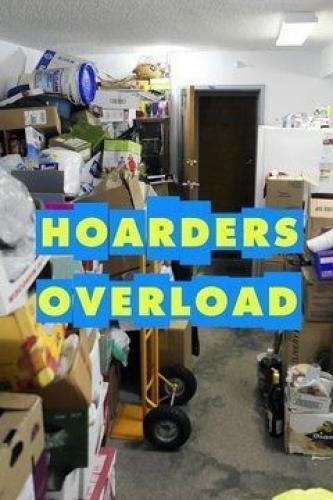 Hoarders Overload is a series that airs extended enhanced episodes with extra information, deleted scenes and bonus unseen footage from the show "Hoarders" that also airs on A&E TV. Dorothy and David's home has become physically unsafe; doctors warn Dorothy that she could suffer from a fall that leaves her paralyzed; Doris has been forced out of her house because it is packed with wigs, shoes and other treasures. A San Francisco woman lives in a hillside home with $1 million worth of teddy bears; a teenager demands that his parents clean up their stash of Halloween items. Kevin is hiding a hoard of sexual paraphernalia from his family; he must reveal his secrets and clean up his home if he wants to move back in; Elmira's hoard has become so bad that code enforcement is on the verge of condemning her home. A former interior designer hoards out every square inch of a historic mansion, then loses the house to foreclosure; the new owners of the property must determine how to compassionately evict the woman and dispose of her hoard. Hoarders Overload next episode air date provides TVMaze for you. EpisoDate.com is your TV show guide to Countdown Hoarders Overload Episode Air Dates and to stay in touch with Hoarders Overload next episode Air Date and your others favorite TV Shows. Add the shows you like to a "Watchlist" and let the site take it from there.